Winner, Winner Chicken Dinner Squawk! 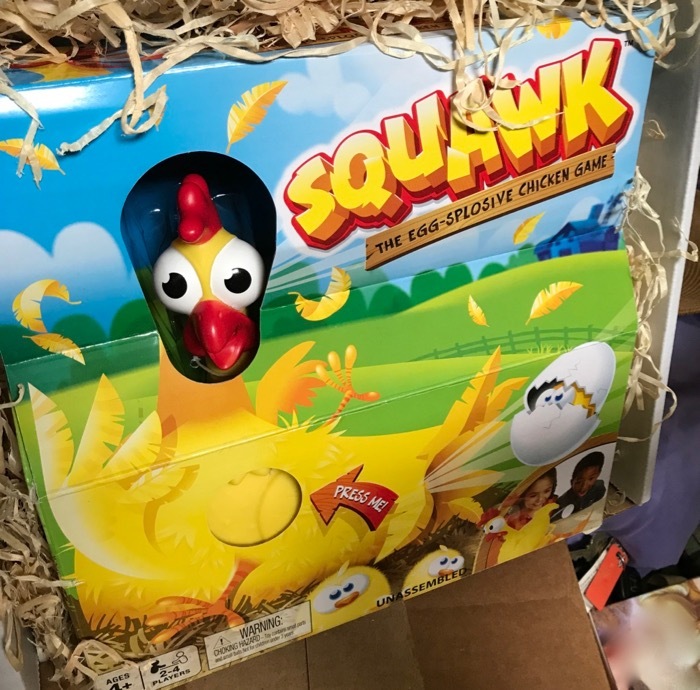 Sometimes, being a Chicken Blogger has hilarious perks... like when Mattel Games sends you an egg-splosive new chicken game to play with! 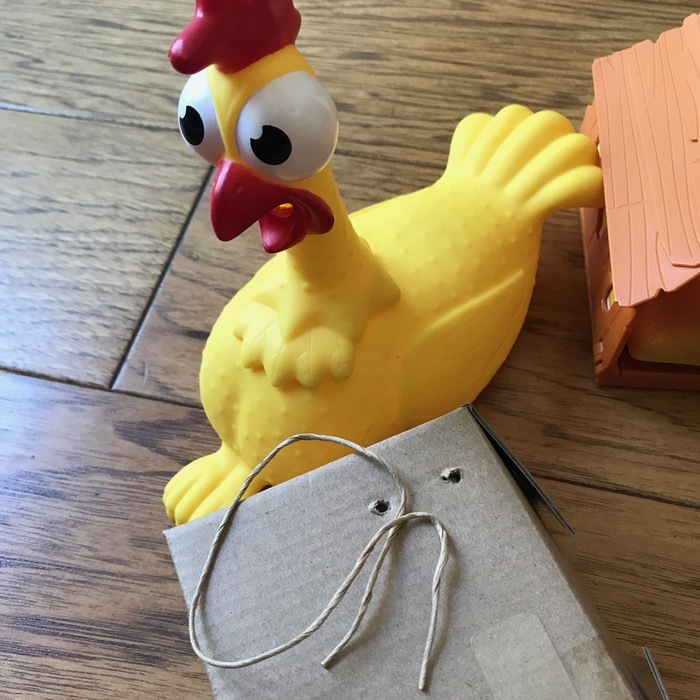 My friends know I love chickens, and I've received a good number of chicken themed gifts over the years, but it's pretty funny to have your chicken obsession recognized by a toy company! "Press Me!" Of course I did, and I was not disappointed. Ok... I am not sure it sounds like any chicken I've ever heard, but it is farcically funny. It's not part of the game, but I have to add: Mister Foo came running into the room, and he meowed every time the chicken exclaimed it's ridiculous Squawk! Are you curious? Do you have little kids in the house, grandchildren visiting, are you like me... eternally child-like(ish??) 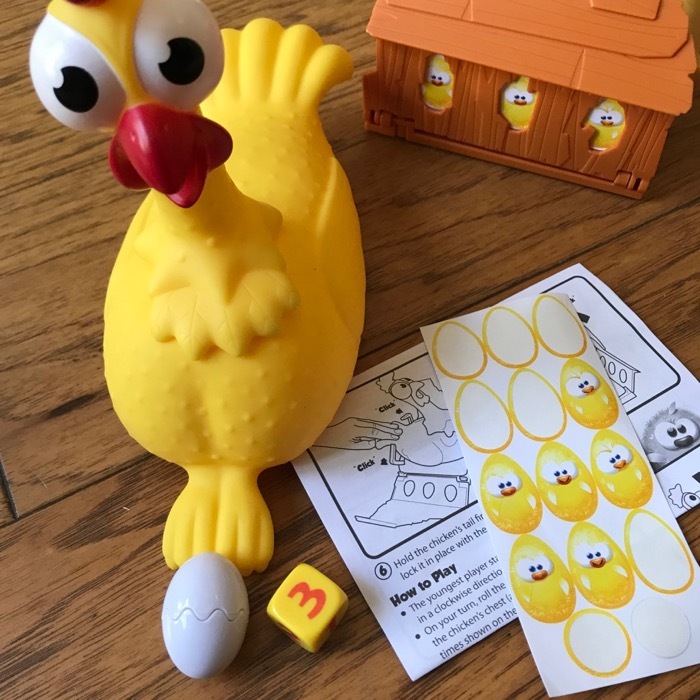 Mattel Games would like ChickenBlog to share two of these games with our readers! Fun, right? I am going to make this as light-hearted and simple as this silly and fun game... just leave a comment. Comment here, on this post, and I will put your name in the top hat. If you comment at our Instagram page, then I will add your name a second time. We will draw two names on September 8th! You could be the lucky winner! 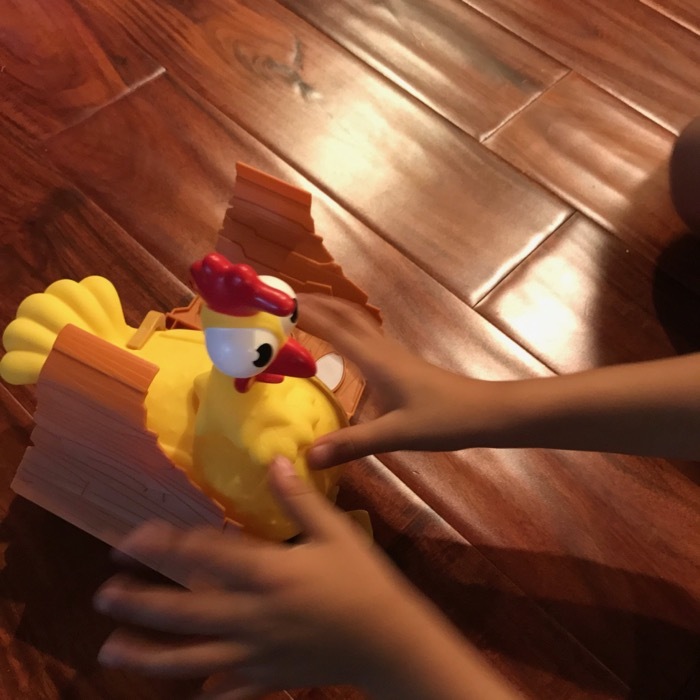 Winner winner, Chicken Squawk! Winner! Congratulations, Leslie! Last night we had some friends over, and Sebastian spied my Squawk... and I thought, "Aha! Good time for a test run." 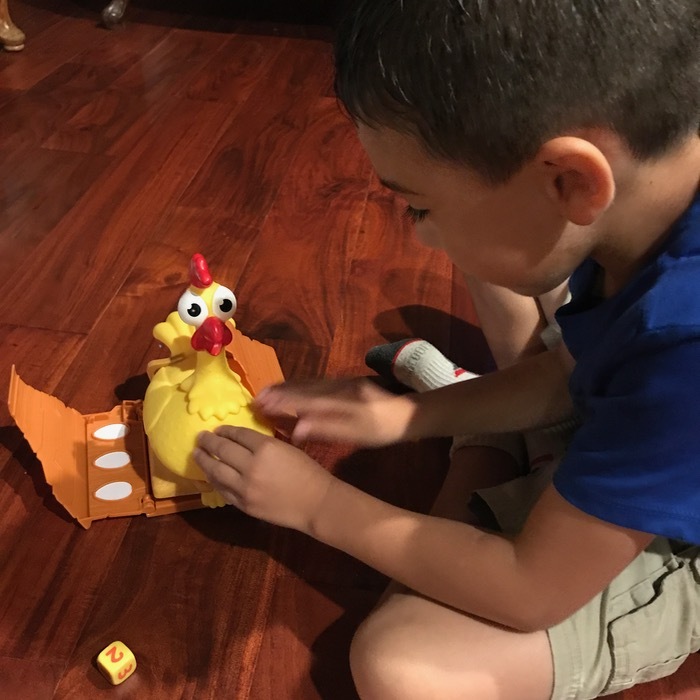 Squawk is on her nest, in the coop, and when Sebastian rolled a "2" he got to press her for an egg, two times. 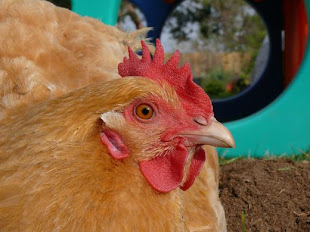 It's a game of chance, and suspense, as you wait for an egg-splosive egg lay from your nesting hen. This is a toy. And it reminds me of other toys that were eagerly anticipated and hoped for when I was a kid, when my own children wrote a Christmas list, asked Santa. It's an obvious thing to say 'it's a toy,' but I think we sometimes forget to just play, to let children play. We get a little obsessed about "educational" and lose sight of giggles, peals of laughter, silliness, making up new rules, having fun. So, in light of play and silly toys, I think this toy has appeal. And I know Sebastian, Maria, Shayla, and Mister Foo think it's fun, too. There was some assembly involved... easy. 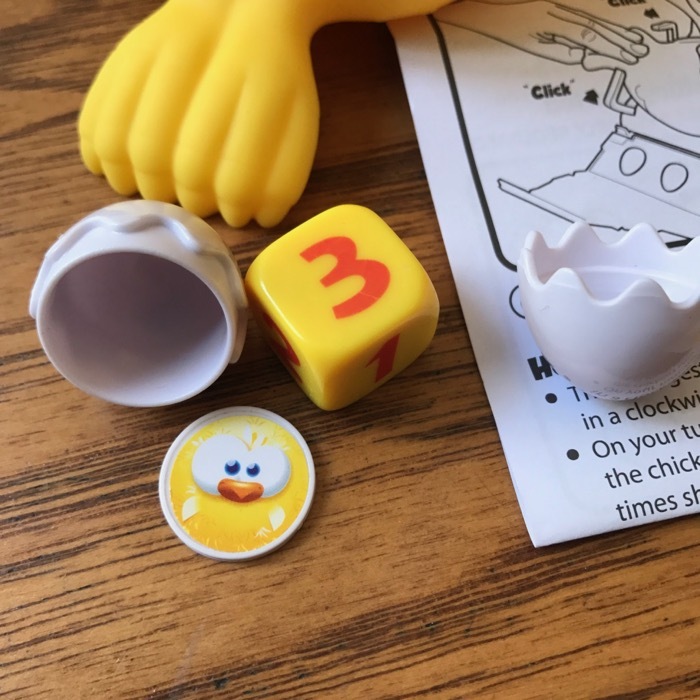 There are instructions for play and game pieces. I think our friends had the most fun when I stepped back and just let them play, of course. It's simple. It's silly. It's loud. It's a toy! I hope you want one... you might enjoy the laughs, like I have. And kudos to Mattel for losing the plastic-coated wire twist ties that plague toy packaging. I happened to notice and very much appreciate their compostable paper twist tie... and I think it's a nice step for our environment. Ok, I'll enter. I can always use a rubber chicken. I remember those ducks. I can't decide which is funnier the ducks or how much they made Adam Savage laugh. Fun giveaway. Throw my name in the hat! Hello! 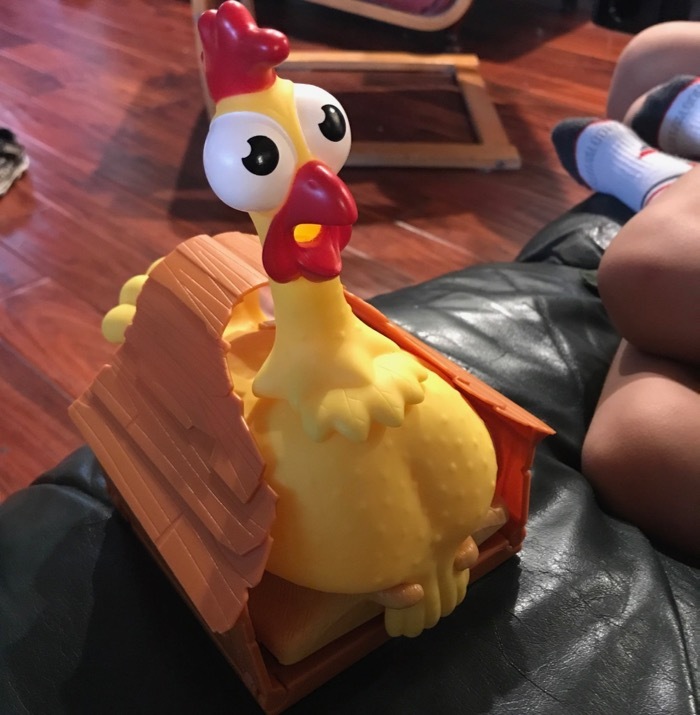 Free chicken? My niece would totally love this. I'm in... sent you an email.